Summary: Grange Fell is the name given to the broad area of high ground that is bounded by Borrowdale to the west, the Watendlath valley to the east and the Rosthwaite/ Watendlath lane to the south. The fell has numerous tops, some of which are distinctive rocky peaks which could have made fell chapters in their own right but Wainwright in the Pictorial Guides opted to group them all as one under the name, Grange Fell. However, when compiling his original lists he named three of the tops as seperate fells, King’s How, Brund Fell and Brown Dodd as these three were marked on both the O.S. and Bartholomew 1 inch maps of the day. (Ether Knott was only named on the O.S. map and without a height possibly the reason that it wasn’t even considered). At that time the highest point of the whole fell was measured as 1363′ and this was the summit of Brund Fell so this was the high point described by AW in the Grange Fell chapter. It does get rather complicated with re-surveying since that time as Brund Fell is not the highest point of the whole hill (see topographical details below). 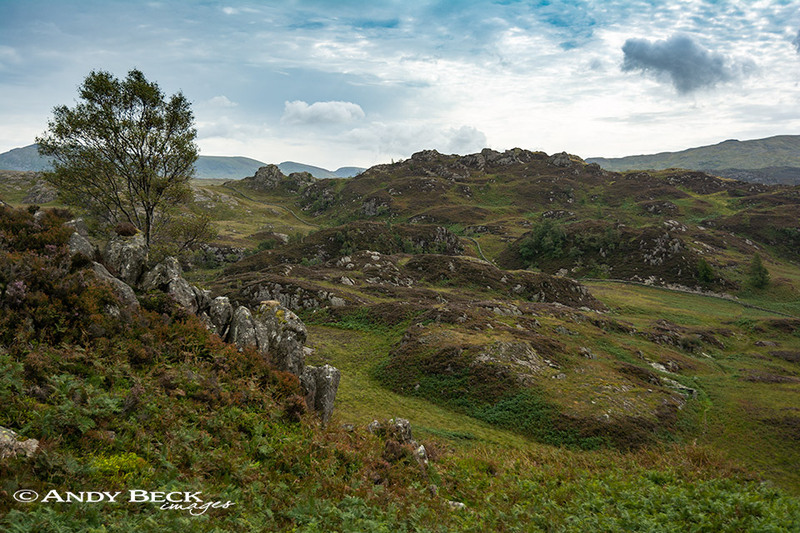 The fell is covered with a mixture of woodland, heather and rock outcrops and due to it’s central location provides a wide aspect of views of many major fells which change depending on where you are on the fell. 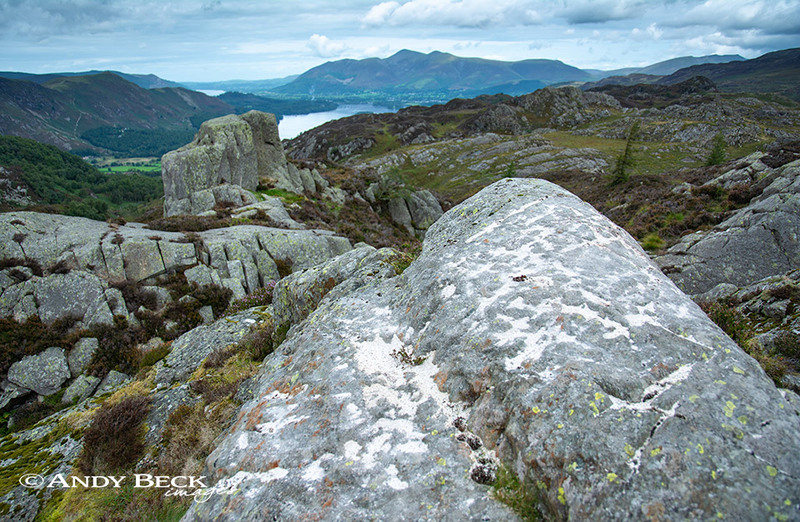 Ascents of the hill can be made from various locations such as Watendlath, Rosthwaite or the Grange area of Borrowdale. The climbs are not difficult but can be steep in places, the paths are generally good. Upper sections of the fell can be boggy in places. Points of interest: The various rock towers and blocks of the summit area are worth exploring. Two ruined sheepfolds adjacent to the path to King’s How are of interest. The hut (shelter) illustrated by AW on Grange Fell 4 is now a low ruin and off the beaten track. The views from the summit are good in nearly all directions with many fells identifable. Adjoining fells: King’s How easily reashed to the west, Brown Dodd is at the northern end of the east ridge. Nearest facilities: Car parking at Watendlath or at Rosthwaite village (pay and display). Caffle House Tearoom at Watendlath. Tearoom The Flock Inn at Rosthwaite, food, drinks and accomodation at The Scafell Hotel or The Royal Oak in Rosthwaite. Star rating: (2.1 / 5) The nearby King’s How gains a higher rating as it has more points of interest and better views.